More floor standing lights all now available to buy at Harvest Moon for bringing extra light into a room. They are convenient and can be placed wherever you want and can be easily moved. 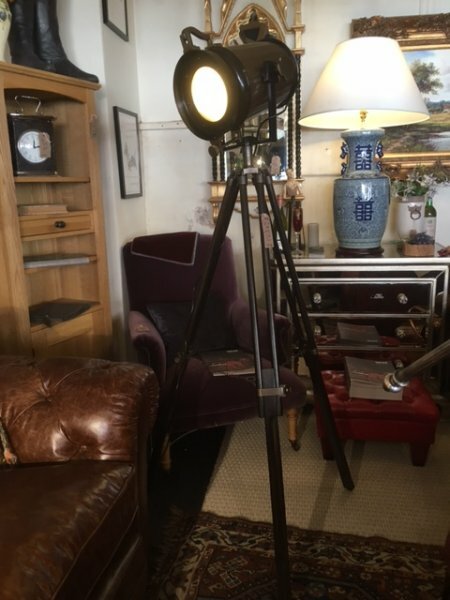 In our floor standing lamps range below we've got lots of contemporary tripod floor standing lights as well as wooden, nickel, silver, copper and chrome finish and gold metal angled floor standing lamps. The image above shows a bronze spotlight on adjustable height stand on display in our Southport furniture showrooms. Have fun choosing your floor lighting as we've got lots specially picked for you to choose from! 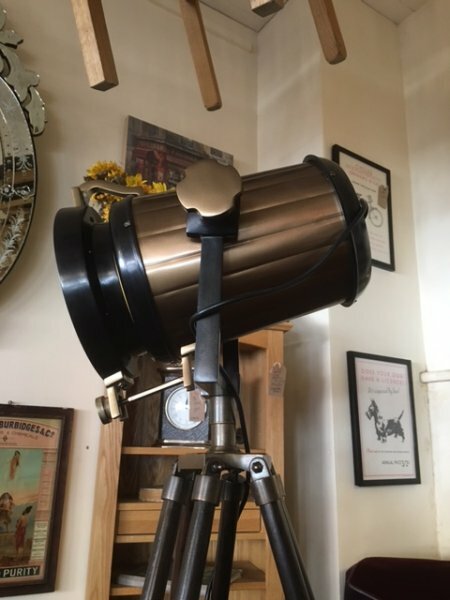 Latest additions - A nickel finish traffic floor standing light, an antler floor light, a white washed wooden floor light with cream shade and a brass finish floor standing light. FREE 7-14 days delivery to UK mainland addresses on all floor standing lights and other lighting orders at Harvest Moon. 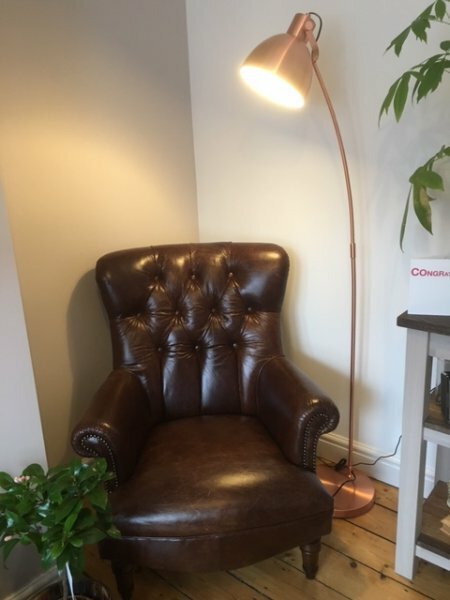 The image below shows the shiny copper floor standing lamp along with a Tetrad Calvay leather chair taken by a happy customer in their home in Manchester. 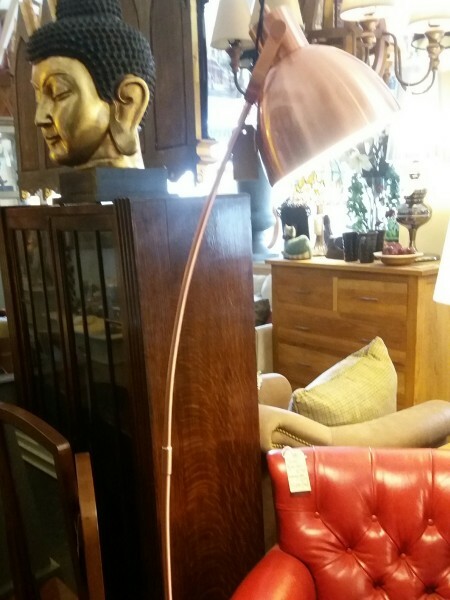 The next 2 images show the bronze spotlight which is a floor standing lamp on an adjustable height stand on display in our Southport furniture showrooms.